The website was formally inaugurated by the then Minister of State, independent charge, Ministry of Non-conventional Energy Resources, Govt. of India. in July, 2000. The website gives news items related to Indian wind power sector on monthly basis. The website also gives brief information related to government agencies and policies related to wind power, list of manufacturers with installations, wind resources and others. 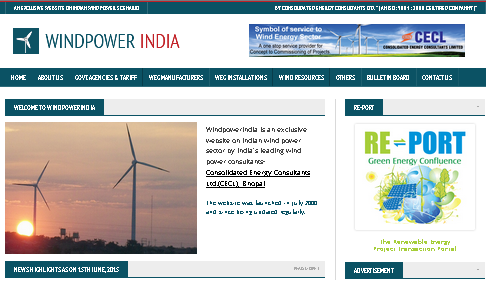 Owing to vast coverage offered by this site, windpowerindia.com has become very popular amongst the stakeholders.